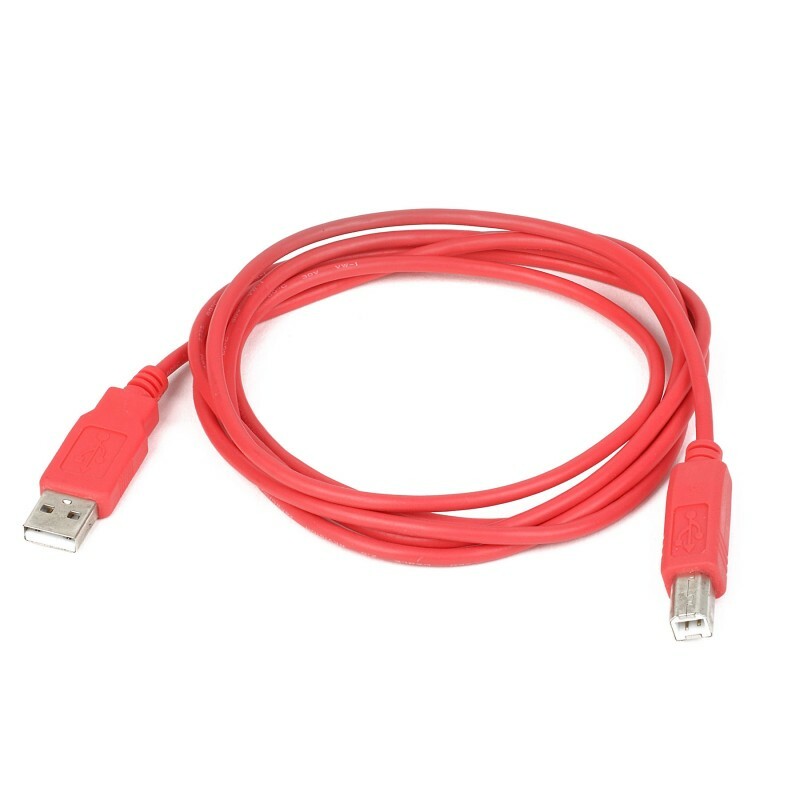 This is a USB 2.0 Type B to Type A plug 5-pin cable with reddish plastic insulation. This is a USB 2.0 Type B to Type A plug 5-pin cable with reddish plastic insulation. Standard Type B plug is compatible with mikroElektronika development boards, as well as printers, media players, routers and many other devices. Cable is 1.8 meters long and compatible with USB 2.0 specification.